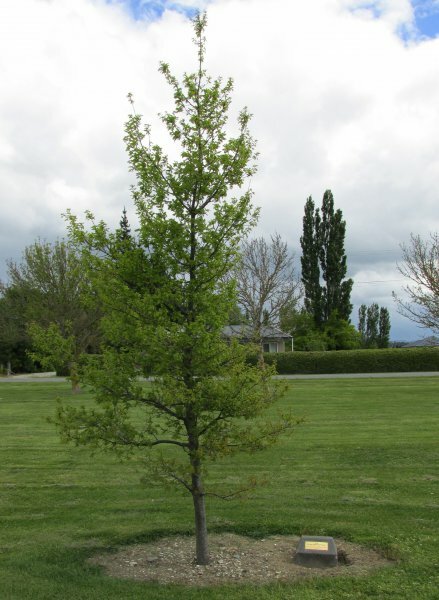 One of 24 trees planted in the Riversdale Avenue of Honour. The trees were planted 8 August 2007 and unveiled on Passchendaele Day 12 October 2007. 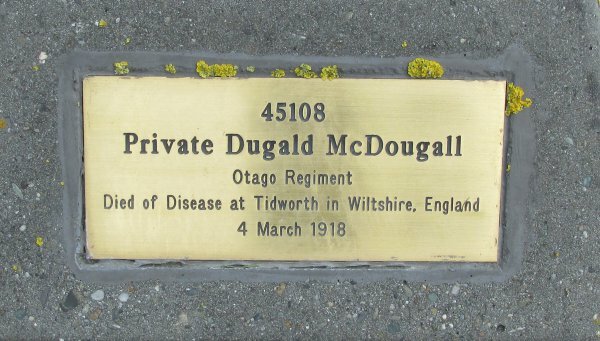 This tree commemorates the life of Private Dugald McDougall (Cadwallader, 2013). See full notes of the commemorative planting on Group record SR/G1182. 19 Dec 2013 Cadwallader, B.G. North of the information display.